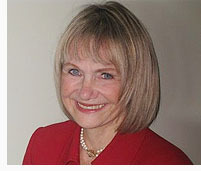 Judith C. Nesburn is a Family Law attorney, Mediator and Collaborative Law practitioner, practicing in Los Angeles. Judith has years of experience in all family law matters, has published many articles and continues to teach classes and give lectures on family law at a wide range of forums. Advanced Collaborative Law Training, Pauline Tessler, Los Angeles Collaborative Family Law Association, Los Angeles. Advanced Mediation/Collaborative Law Seminar, Gary Friedman, Center for Mediation in Law, Los Angeles, CA. Collaborative Law Seminar/Training, Los Angeles Collaborative Family Law Association. Collaborative Law Training, Los Angeles Collaborative Family Law Association. Basic Mediation Skills, Center for Mediation in Law, Mill Valley, California, Fall. Los Angeles County Bar Association Dispute Resolution Training Program, Winter. Consensual Dispute Resolution Standing Committee of the State Bar of California, Pepperdine University, Strauss Center for Dispute Resolution: "Helping Families in transition: ADR in Challenging Times"
Association of Family and Conciliation Courts (AFCC) 2012 Conference: "Parenting Plans for Late Adolescents"
Family Law Section, State Bar of California, Dispute Resolution Standing Committee, A Better Divorce: "Protecting Your Clients and Expanding Your Practice." USC Graduate School of Social Work, Law and Social Work Program: " Mediation & Collaborative Divorce: Overview of the Family Law System"
"Moderator for Role Play Sessions"
International Association of Collaborative Professional (IACP), Annual Conference, Washington, DC: "When Termination is Inevitable: Exiting the Collaborative Highway: A Guide for Assessing Road Conditions and Avoiding a Collision on the Offramp"
USC Graduate School of Social Work, Law and Social Work Program, "Overview of the Family Law System; Alternative Dispute Resolution for Divorcing Families"
The Family Law Section, State Bar of California, A Better Divorce and Los Angeles Collaborative Family Law Association (LACFLA): "Divorce in the 21st Century: Understanding the Expanding Role of Mental Health Professionals"
"The Nexus of Law and Social Work in Family Law"
"Overview of the Family Law Court"
Premarital Agreements as a Collaborative Dialogue"
"The Golden State of ADR"
Create a BluePrint for Successful Resolution"
"There's Room at the Table"
"Family Law Mediation - What's in it For You?" "The Nightmare Case: Solutions Through Mediation"
"A Guided Tour Trough the Successful Family Law Mediation"
"Caucusing in Family Law Mediation: Magic or Mistake?" Roles and Responsibilities of Participants in the Process"
You Ignore it any Longer?" "Private Matrimonial Mediation - How It Works"
"The Challenging Family Law Case: Solutions Through Meditation"
"Caucusing in Mediation: Magic or Mistake?"